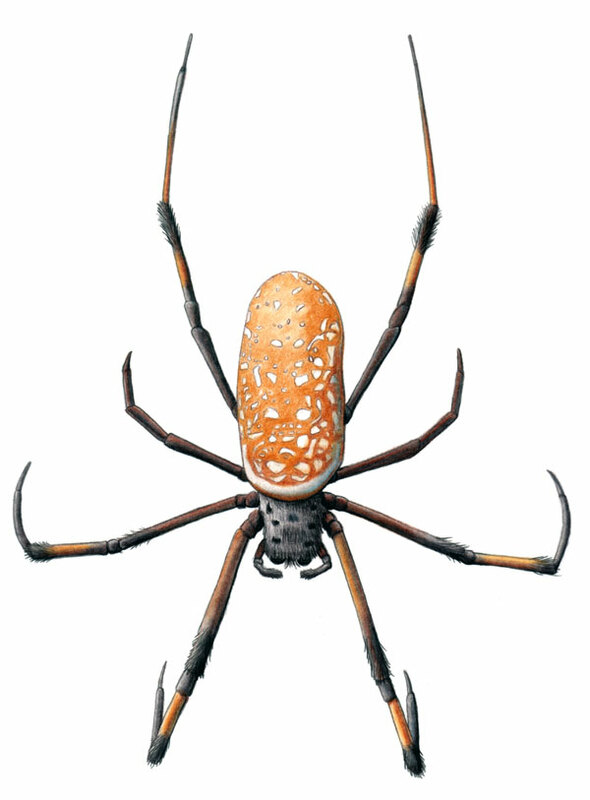 Despite their large size, golden silk orbweavers (also called "banana spiders") are relatively harmless. They are non-venomous and not aggressive. They build large webs in the late summer and early fall, often across trails. Many hikers have run into their webs when not paying attention!